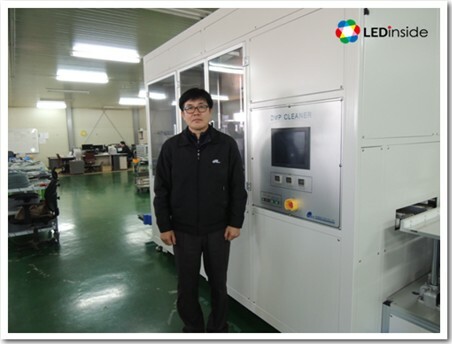 Home > Interviews > Dageon Sapphire Substrate Equipment Maker Offers Cost Advantage Solution In Response To 4”~6” Wafer Prod..
South Korea-based Dageon Technology founded in 2000, the president Mr.Son previously had worked for LG Silitron for 12 years. For most manufacturing machines have to be imported from abroad, Dageon began to research and develop manufacturing machines, in order to contribute to the sapphire substrate market development. Dageon developed a range of substrate production line equipments for the sapphire substrate market development, including fully automatic Block Cleaner, fully automatic DMP Cleaner, Auto Mounter, Auto Demounter, Scrubber, Spin Dryer and so on. Dageon also has a Block Cleaner patents. Based on the good prospect of 4-6 inches LED wafer market development, Dageon is quite optimistic about the Auto Mounter and DMP Cleaner devices market development in 2014. Auto Mounter includes block loading, waxing, demounter. 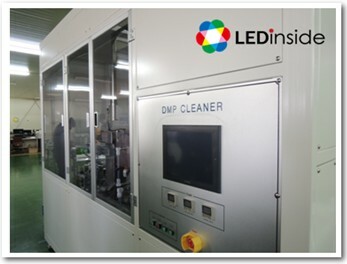 DMP Cleaner device covers block loading, cleaning and demounter. DMP Cleaner works like this: After substrate being grinded by the diamond grinding fluid, to use a high pressure water column and chemicals to clean the residual chemical polishing liquid on the sapphire substrate surface. Because many customers changed the original Template in the CMP into Paste Wax during the manufacturing process, in order to achieve better control of TTV and BOW. Then, DMP Cleaner becomes the middle bridging cleaning equipment between DMP process and CMP process, and is required to thoroughly clean diamond grinding fluid to protect substrate from residual diamond grinding fluid in the CMP process. So the cleaning after DMP process is particularly important. At present, this equipment's main target customers are those who produce 4 to 6 inches wafer, and it can absolutely improve performance of the products quality. 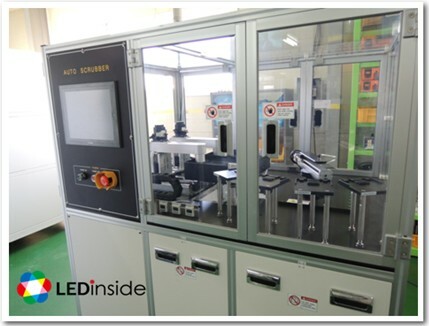 For LED market development, because of chip manufacturers’ consideration on quality and cost advantages of 4-6 inch sapphire substrate, Dageon also independently develops and sells Auto Mounter used for 4-6 inch sapphire substrate, achieving full automatic production process including delivering, waxing, bonding, baking and lamination. Calculating capacity With 485mm ceramic plate, one circle can hold 23 pieces in 2-inch (monthly production capacity of about 60,000 or more), 10 pieces in 4-inch (production capacity of about 50,000 per month), and 6 pieces in 6 inch (production capacity of about 40,000 per month), which is absolutely effective for quality control during the grinding and polishing process, improvement in production capacity is relatively easier to be highlighted. Demounted device placing sapphire substrate on the ceramic plate experienced the DMP or CMP process, melting liquid paraffin with heating, and then isolating substrate from ceramic plate. Auto Scrubber is an equipment to clean particles on the surface of sapphire substrate. It is unnecessary to use chemicals during the process from cleaning, drying, and delivering to Loarder, only DI Water is what needed, so the cost savings are enormous. Currently there are clients adopting the above mentioned machines, such as South Korea clients including LG Silitron, STA, Iljin, Hansol, Chinese customers involving Hyperion, SILIAN, NJC, HTOT, Huale and so on. 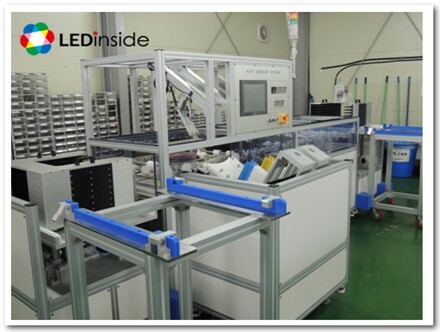 In response to future 4-6 inch wafer market development, Dageon still continues to upgrade equipment and technology, hoping to improve production speed and reduce the material cost, to meet more customers who specialize in LED sapphire manufacturing.